Pixar has been delivering me gut-punches and heart pangs since I knew how to feel. Much like the protagonist of Inside Out, I struggled with complex emotion early on in life, and Pixar was partly to blame for it. So it really wasn’t a surprise when I lost it during Lava, the animated short that’s being screened right before Pixar’s newest feature. Lava is a story that I never knew I needed and that I certainly never imagined would make me openly, grossly weep. 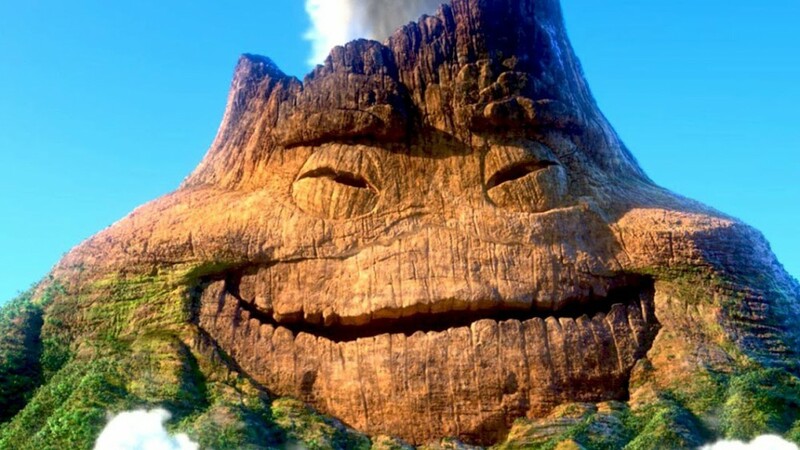 Lava is a masterpiece on par with Pixar’s other emotionally traumatic shorts (remember Partly Cloudy? ), but takes the heartache to the next level. The combination of a sweet and lilting ukulele tune, beautiful animation, and a brief, touching love story was enough to ruin me and then immediately build me back up. Inside Out was great. Interesting concept. Well-researched. And in typical Pixar fashion, a visual treat. But Lava far surpassed it in the feelings department, cramming the full spectrum of human emotion into six minutes. Warning: Major spoilers coming your way. 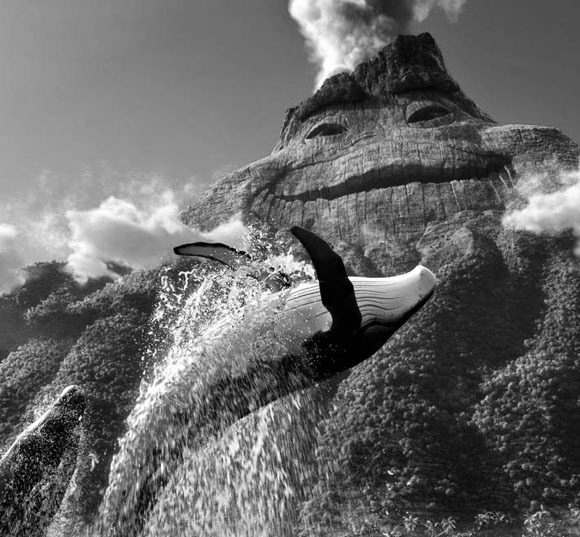 At first, Lava is pure joy. I felt sympathy. For a giant rock. Aw, man. We find out Uku’s all alone. His dolphin friends are in love. His whale friends are in love. Everybody gets a soulmate except for Uku. Longing for love and companionship? That’s nothing if not relatable. And in comes the soul-crushing misery. In retrospect, I should have anticipated the emotional bomb that dropped a few minutes into Lava. Twists have to happen early on in shorter films. But this particular twist shifts the film’s tone from touching and sympathetic to full-on devastating, and I was not prepared. Wait. What? To my simple, mortal human brain, anything longer than six months is too long. Uku waited millions of years to find his one true love, and he’s about to die alone. Are you kidding me, Pixar?!? Things get even worse after Uku’s fate is thwarted and his hopes shattered. Once Uku’s imminent death is made clear, we learn about Lele, the lady volcano waiting just beneath the surface of the water. So close, in fact, that she’s been listening to Uku sing his song for all these millions and millions of years, and she has fallen in lava with him. They’ve been so close this entire time! Literally a few hundred feet away from each other! Have you ever gotten to the train just as the doors were closing? Or tried to reach your TV remote that fell on the floor, only to feel it with your fingertips but not manage to close your grip around it? If you have, then you kind of know what it’s like to watch an impossibly, unfathomably long love story come up a few feet short of a happy ending. Kind of. At this point, frustration multiplies and mingles with a little bit of the misery from earlier. Now it’s time for suffocating grief. One of the strongest parts of Lava is its lyrics, which take full advantage of the song’s brevity. The song has a few one-liners so heartbreaking that it elicits feelings vaguely similar to being stabbed, e.g., when Uku sinks into the ocean behind his long lost love. “He filled the sea with his tears and watched his dreams disappear,” the narration sings. The three minutes of deep emotional suffering that lead up to the conclusion of Lava are (sort of) worth it. The story comes full circle, offering a sweet and captivating ending that literally puts the protagonist back on top. It’s undeniably gratifying to watch Uke and Lele (geddit?) join together to form a heart-shaped island, the two of them slotted up to spend eternity together. It’s the acceptable outcome, the only conclusion that could have kept viewers from spiraling out into a state of emotional turmoil. It was touching. So touching that—wouldn’t you know it—I cried.